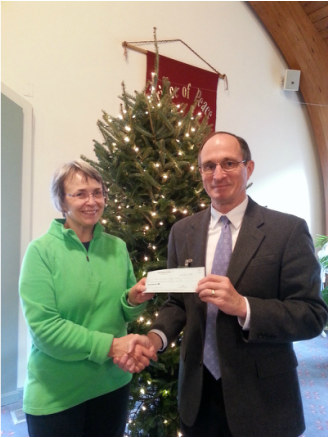 The first concert of the 2014-2015 season was a benefit for the Crofton Christian Caring Council, which was founded in 2008 to provide emergency assistance on weekdays to residents of Crofton and surrounding areas. Seven local churches have agreed to cooperate, on the principle that combined resources can go further than the resources from each individual church. At each of our three concerts in the 2013-2014 season, the Chesapeake Chorale asked audience members and singers to donate canned foods, dry goods and/or monetary contributions for the Bowie Interfaith Pantry. The Bowie Interfaith Pantry supports families in Bowie and Prince George’s County by providing food, financial assistance and referrals to families in need. The Chesapeake Chorale has been a proud sponsor of Bowie Regional Arts Vision Association (BRAVA) from its inception. The efforts of this Association resulted in the completion of the Bowie Center for the Performing Arts. The Chorale has enjoyed performing in this welcome addition to our arts community. The Chesapeake Chorale has a Choral Scholar program for high school and university students, in keeping with our mandate to be an educational resource for the community. This program provides opportunities for talented student vocalists to expand and explore repertoire beyond the academic setting, and to foster their appreciation for choral music. Additional information about the benefits of this program and comments from some of our previous scholars can be found on our scholarship page.